Yet again everyone's favourite long-haul low-cost airline, Norwegian had a bumper month in October, with more than three million passengers in a single month. More than 3.1 million passengers travelled with the company in October, which demonstrates a rather impressive increase of 14 percent when compared to October 2016. 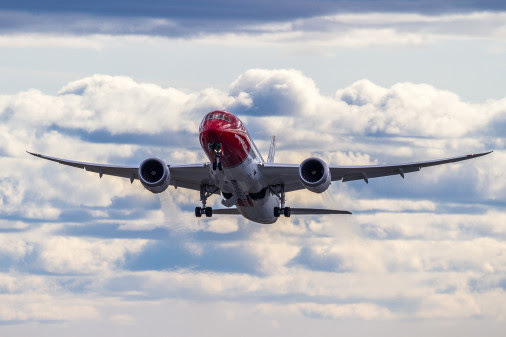 The strongest growth was seen on Norwegian’s intercontinental routes, which have increased the number of passengers by whopping 56 percent. A total of 3,148,511 passengers chose to fly with Norwegian in October. This is 381,768 more passengers than the same period last year (14 percent). The total traffic growth (RPK) increased by 29 per cent, while the capacity growth (ASK) increased by 31 percent this month. The load factor in October was 87.4 percent. 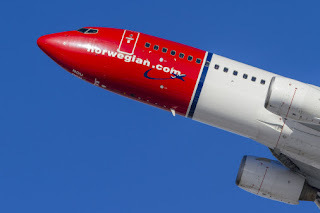 Norwegian operated 99.4 percent of the scheduled flights in October, of which 78.3 percent departed on time. Norwegian’s fleet renewal program continued this month with the delivery of one Boeing 787-9 Dreamliner. With an average age of only 3.6 years, Norwegian’s fleet is one of the world’s “greenest” and most modern.